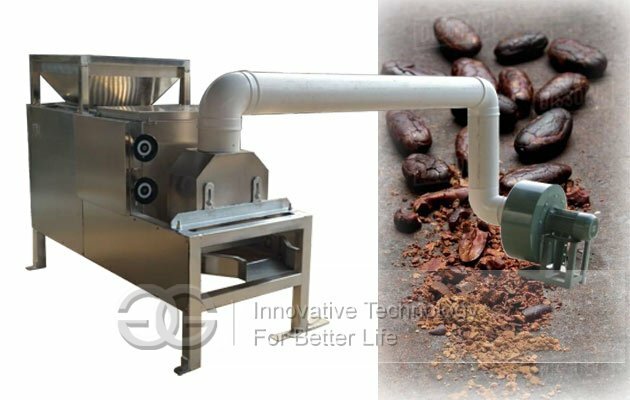 This stainless steel coffee beans peeler machine is made up by peeling roller, draught fan, proportion separating part. Simple and compact structure, easy operation, stable performance, safe and reliable. 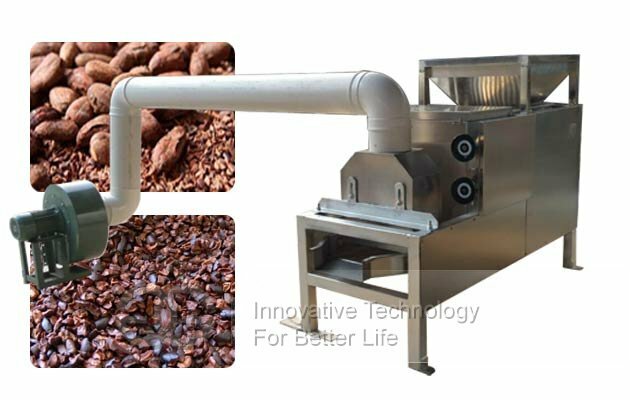 Cocoa beans peeling machine is a peeling machine for cocoa bean, coffee bean. The machine design is reasonable, simple operation, safe and reliable, high production efficiency, energy saving. 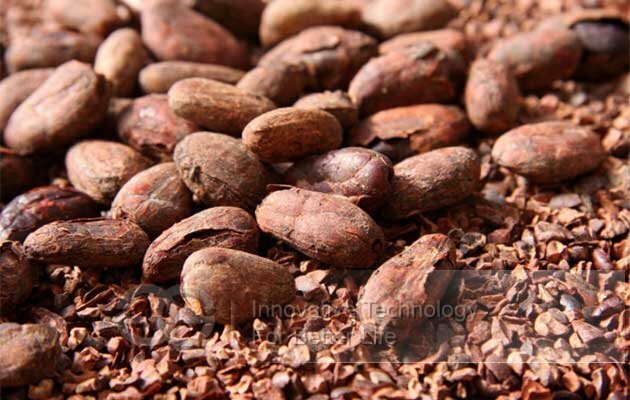 Best choice for factory which want doing cacao business. 1, High peeling rate is high and can up to 90% . 2, This machine has the function of reasonable structure,high efficiency,save energy,easy to operation and so on. 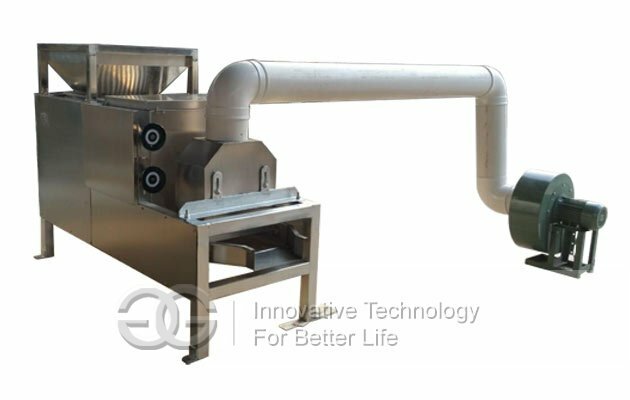 Working principle of cocoa beans peeler machine: Beautiful appearance, reliable operation, easy maintenance, the use of a wide range of users, is rare in the food processing equipment products, can be directly driven by a motor or a diesel engine. 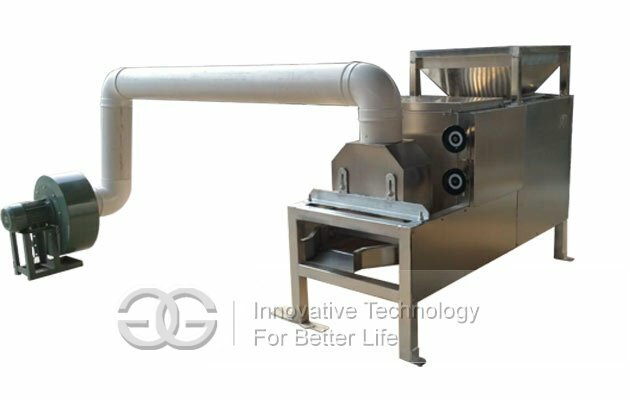 After coco bean feed into this machine, it will be fall into the hopper uniformly, the peeling roller will remove the peel, and fan will absorb the peel anmd send to collect to outside. The kernel after peeled will be discharged out. By adjust the fan power, roller distance to realize the high peeling rate.